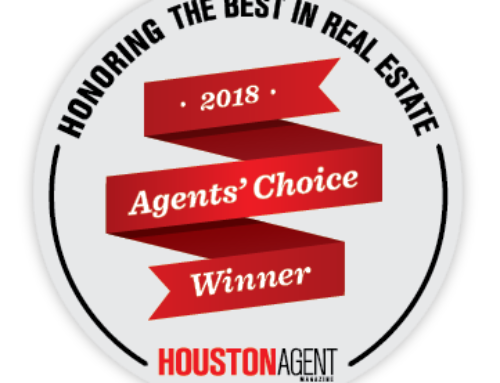 HOUSTON – (By Michelle Leigh Smith for Realty News Report) – On September 7, 2001, Nancy Owens, a much loved and respected legend in the Houston real estate arena, lost her courageous 20-year battle with breast cancer. One of Nancy’s final wishes was to dedicate a large part of her life to the fight against breast cancer and the continued advancement of its research towards finding a cure. 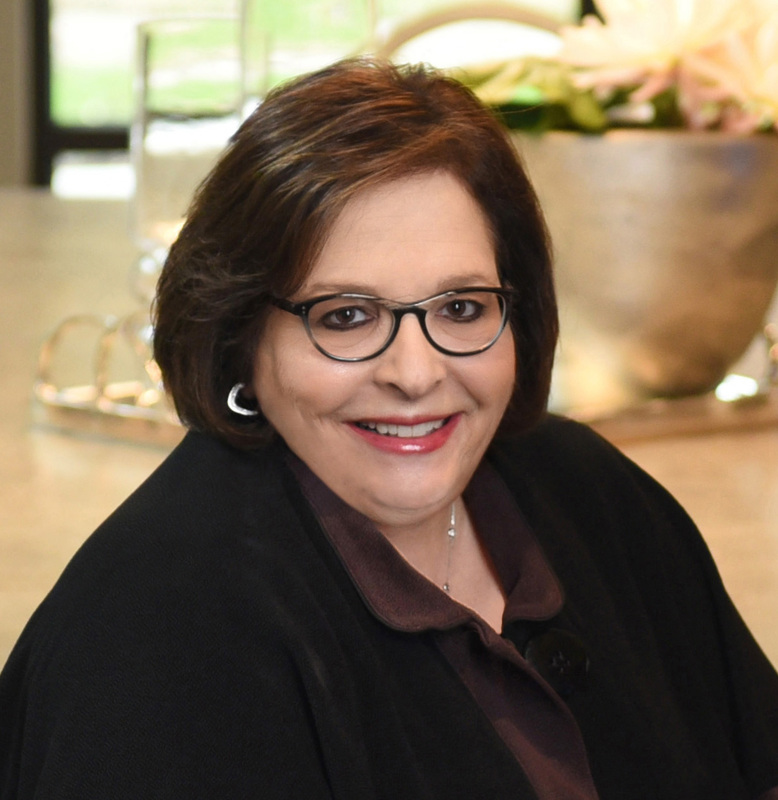 “She didn’t want others to have to go through what she went through,” says Amy Bernstein, who co-founded the Nancy Owens Breast Cancer Foundation along with several of Owens’ other colleagues. NOBCF has raised more than $2 million to fund public charities that support education, care, and research to find a cure for breast cancer. The 17thannual luncheon is set for October 22, 2018 at the Hilton of the Americas at 11 a.m. Grammy Award winning icon Melissa Etheridge, also a breast cancer survivor, will rock the podium as guest speaker. RSVP at NancyOwens.org. Owens bravely battled breast cancer over a 20-year period. Nancy grew up in St. Joseph, Michigan, and graduated from Michigan State University in 1971 with a B.S. in Interior Design. 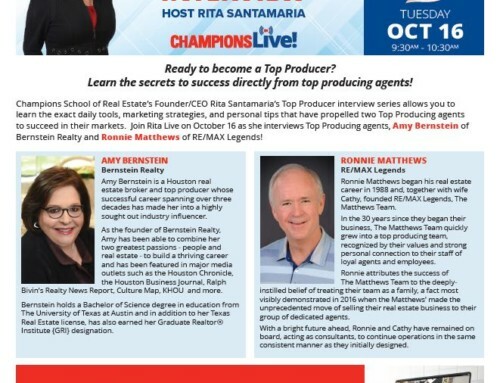 She moved to Houston in 1976 where she went to work for John Daugherty Realtors selling residential properties.  In 1981, she co-founded Turner-Owens Properties real estate firm. 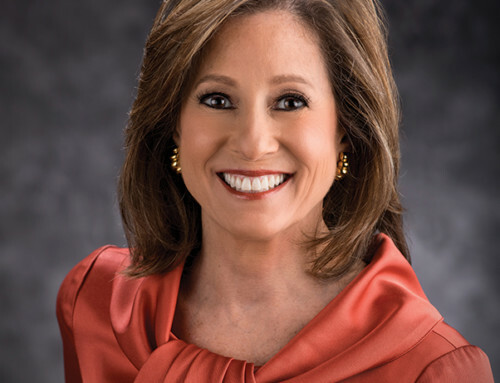 She sold the company in 1986 and started Nancy Owens Properties. 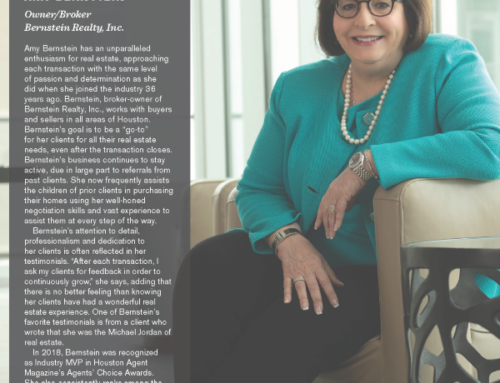 In an effort to simplify her life—after fighting off breast cancer for a second time in 1992—she returned to John Daugherty Realtors as a broker associate. During Owens’ illness she was supported by many friends, including Gloria Moorman, the Hon. 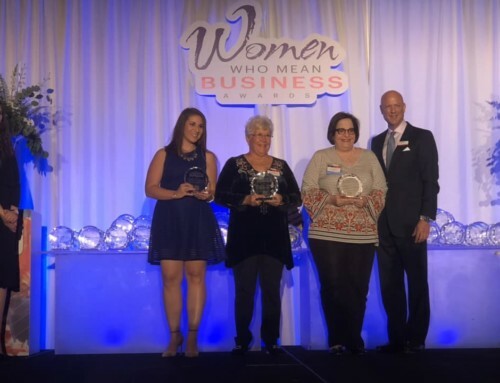 Bonnie Hellums, Candy Caspersen, Cay Dickson, Lynn Mather, Cheri Fama, president and COO of John Daugherty Realtors and many other thoughtful, loving and supportive friends—in particular all of her real estate friends. The NOBCF also bestows a Spirit of Courage Award each year, recognizing extraordinary bravery in the face of adversity resulting from the diagnosis of cancer. 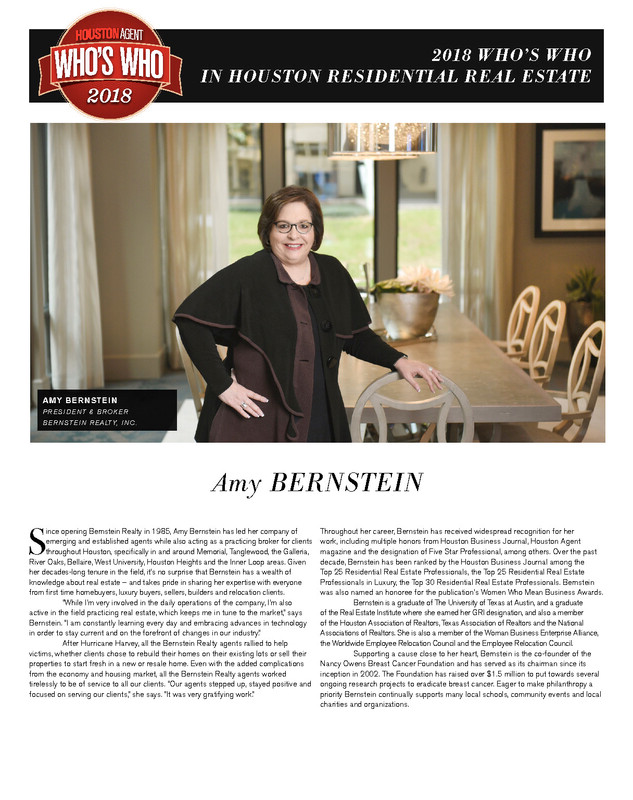 This year, Wendy Bernstein is the 2018 recipient. Donations from previous Foundation events have been given to the Houston Affiliate of Susan G. Komen for the Cure and the Lester and Sue Smith Breast Center at Baylor College of Medicine. This year’s donation to Baylor College of Medicine funded the purchase of a machine that focuses on the cell-free circulation tumor DNA by analyzing the DNA physicians and scientists are able to define the genetic aberrations of a primary tumor or metastatic lesion. This year’s donation to the Houston Methodist Research Institute Department of Nano Technology funded the research to develop a small implant, the size of a grain of rice, to deliver immunotherapeutic directly into the tumor to treat triple negative breast cancer called NDES. This year’s donation to The University of Texas MD Anderson Cancer Center funded research to investigate ways of activating a patient’s own immune system to fight their cancer. The funds have allowed the initiation of a clinical trial evaluating vaccination in patients with the early stages of breast cancer to determine their immune response against that specific tumor. Since its inception, the Foundation has donated over $2 million to organizations such as the Lester and Sue Smith Breast Center at Baylor College of Medicine, the Department of Nano Technology at Methodist Hospital and Immune Therapy Research at The University of Texas MD Anderson Cancer Center and the Houston Affiliate of Komen for the Cure.